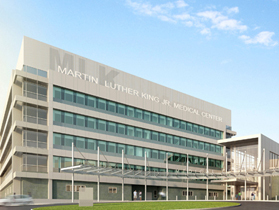 Almost two years ago, HMC Architects delivered renderings for a new Martin Luther King, Jr. Hospital that inspired widespread hope and enthusiasm for a top-of-the-line healthcare facility in Willowbrook. Today, those plans are no longer just pictures on a drawing board. With the Board of Supervisors’ vote awarding $165 million to the Inpatient Tower Project at the Martin Luther King, Jr. Medical Center, contractor Hensel Phelps now begins construction of the new 120-bed hospital. “After today, the shovel goes in the ground and the building commences for a cutting edge healthcare facility,” said Supervisor Mark Ridley-Thomas. Roughly 194,000 square feet of the existing six-story tower will be renovated to build the new hospital. A new 25,000-square-foot ancillary building will be constructed adjacent to the hospital and will house a cafeteria and administrative offices. In addition, the project includes new equipment, renovation and seismic upgrades to the existing central plant that will serve both the Inpatient Tower and the Multi-Service Ambulatory Care Center on the MLK Campus. In an effort to optimize energy efficiency, the Department of Public Works will work with Hensel Phelps to include sustainable design features. The new buildings will be designed to meet Leadership in Energy and Environmental Design (LEED) Silver certification standards. “We are making a commitment not only to provide the community with the best possible health care, but also making an investment in our community’s environmental well-being and future,” said Supervisor Ridley-Thomas. Progress is being made with the Martin Luther King, Jr. (MLK) Medical Center Campus Master Plan. The first Community Open House Meeting was held on April 9th, 2011 and focused on the master planning process, building a healthy community, current site conditions, and health services. Comments emphasized the importance of wellness, economic development, and public safety as the three most important elements to building a healthy community at the MLK Medical Center Campus. The second Community Meeting is Thursday July 7th, 2011 We will share the findings from the first community meeting and provide the opportunity for additional community input that has not yet been captured. This will help shape the future MLK Medical Center Campus Master Plan, its relationship to the surrounding neighborhood, and how it can play a role in our community’s overall health and wellness. Marking the first of many important milestones for the region surrounding the Martin Luther King, Jr. Medical Center Campus, Supervisor Mark Ridley-Thomas joined community leaders and stakeholders to break ground on the South Health Center, a $20 million project that will provide a number of vital public health services in the Second District. “We are standing at the epicenter of a great opportunity to address the healthcare crisis, not just South Los Angeles, but the entire nation. Rather than throwing up our hands at the challenges presented to us, we are planting our shovels today to create a new reality,” Supervisor Ridley-Thomas told the audience of 300 people in attendance at the morning ceremony. Located at the northwest corner of 120th Street and Wilmington Avenue in the unincorporated Watts-Willowbrook area, the new outpatient public health center will provide immunizations and services to treat various conditions, including sexually transmitted diseases, tuberculosis, and communicable diseases. The South Health Center, one of several new capital investments for the region, will create over 10,000 new jobs in the community, along with the much anticipated new MLK Medical Center, Multi-Service Ambulatory Care Center , and the Metropolitan Transportation Authority Rosa Parks Station. Scheduled for completion in December 2012, the MLK Medical Center and the other capital investment projects will become an asset in the community, providing a boost in quality health care, transportation and economic development. The Supervisor made it clear that he remains committed to hiring local residents for these projects, issuing a challenge everyone who has a role to join him in opening doors to provide these critically important jobs to citizens who live nearby. (1) project description / aesthetics, (2) air quality / greenhouse gases / transportation, (3) cultural resources, (4) geology / hazards and hazardous materials, (5) hydrology and water quality / noise / utilities and service systems, (6) population and housing / public services / recreation, and (7) campus master plan. Where more than one person made the same comment, the number of persons commenting is in parentheses following the comment. The following contains all of the comments that were received from attendees at the Martin Luther King, Jr. (MLK) Medical Center Campus community planning workshop held on January 7, 2010. Comments include those that were recited verbally to Sapphos Environmental, Inc. staff, as well as those that were written on the comment cards. The comments have been grouped according to there applicability to the five community planning topics that were identified by the County of Los Angeles Chief Executive Office and the Second District: 1) health and wellness, 2) transportation, 3) land uses, 4) campus master plan, and 5) general input. 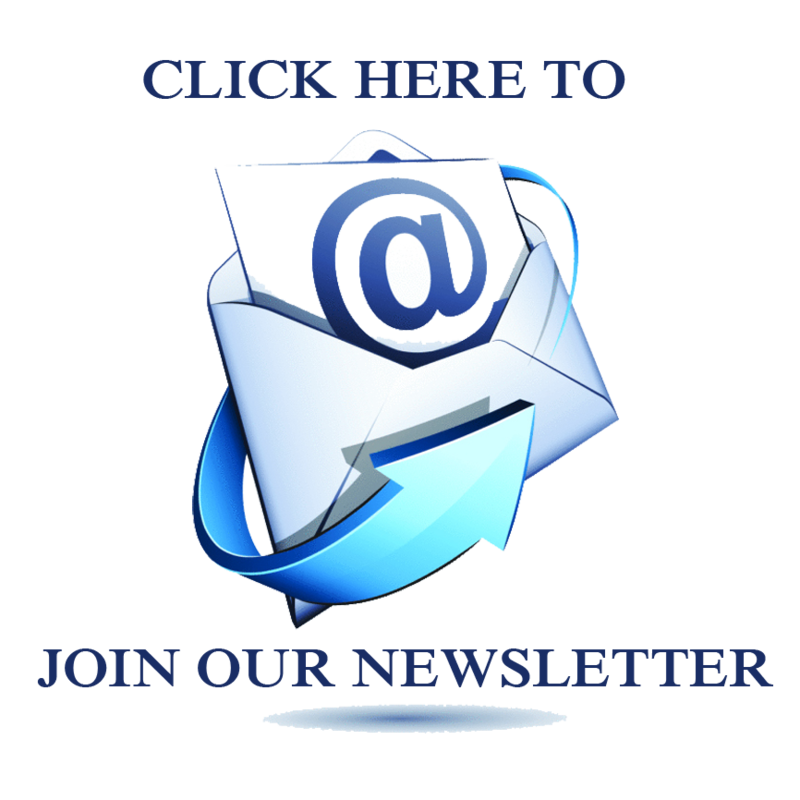 This attachment also includes comments that were received via e-mail at the project e-mail address (mlkmasterplan@gmail.com) as of January 14, 2010. 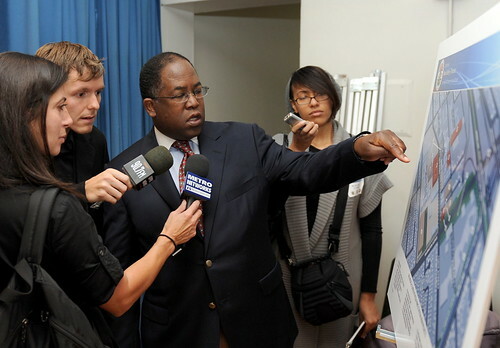 Los Angeles County Second District Supervisor Mark Ridley-Thomas held a public information meeting about the proposed plans to develop a new state-of-the-art Martin Luther King, Jr. Medical Center Campus. The proposed project will revitalize the site of the existing hospital and bring much-needed medical services to the Second District and the County of Los Angeles. The proposed project site is the existing 38-acre Martin Luther King, Jr. Medical Center Campus, located at 12021 Wilmington Avenue in the unincorporated area of Willowbrook, County of Los Angeles, California. The project would be implemented in two phases, or tiers. Tier I would involve the development of a new Multi-Service Ambulatory Care Center (MACC) and the Ancillary Building. Tier II would include the development of: Emergency Room Expansion; MRI Modular Building; new Cooling Towers; and additional master planned mixed-use development, which may include the potential for medical offices, general offices, commercial and retail space, residential units, and other development in support of the campus. Supervisor Mark Ridley-Thomas today thanked Dr. Patrick Soon-Shiong, a local businessman and philanthropist, for extending a $100 million guaranty to the University of California to provide physician services for the new Martin Luther King Jr. Hospital. During a news conference at UCLA, the Supervisor said the generous gesture will underwrite the County’s own $100 million commitment to protect the University from funding shortfalls. The UC Board of Regents are scheduled to vote on the deal on November 19 during a meeting on the Westwood campus. Trained as physician in South Africa during apartheid, Dr. Soon-Shiong witnessed health care disparities that he said compelled him, through the foundation he established with his wife, Michele, to take an active role in opening the new hospital in South Los Angeles. “This is a physician who cares about patients and who cares about the highest quality of care that can be extended to them,” said the Supervisor, who was joined at the news conference by Dr. Soon-Shiong, Assembly Speaker Karen Bass and Jack Kyser, chief economist of the Los Angeles Economic Development Corporation. “I understand how devastating it can be to a community, and to a whole generation of children, without appropriate medical care,” Dr. Soon-Shiong said. Assembly Speaker Bass, a member of the Board of Regents, called Dr. Soon-Shiong’s gesture “a tremendous boost” for opening the new hospital. She predicted the Regents will “take an affirmative vote” at their meeting. Kyser said the closure of the old Martin Luther King Jr. Hospital has increased overcrowding at other hospitals in the county that now treat patients from South Los Angeles. Two years ago, Kyser said he wound up in a nursing home after the hospital in his community was unable to admit him because it was filled to capacity. Kyser also touted the economic benefits of a new hospital, which he said will provide one job in the community for every employee the facility hires. Testifying before the University of California Board of Regents on September 17th, Supervisor Ridley-Thomas and a cross section of stakeholders urged the Regents to consummate a deal with the County of Los Angeles to provide physician services for the new Martin Luther King, Jr. Hospital. Acting on a motion by Supervisor Mark Ridley-Thomas, the Board of Supervisors unanimously approved a plan to build a new Martin Luther King, Jr. Hospital and authorized county officials to proceed with negotiations with the University of California to provide clinical services. The Board also approved a capital program for construction of the new medical facilities, contingent on the UC Board of Regents’ vote at its meeting next month to enter into a service agreement with the county. Supervisor Ridley-Thomas hosted a Town Hall meeting at Drew Magnet High School on August 1st to discuss the NEW Martin Luther King Hospital. Information and video from the entire event is now available at the MLK Town Hall webpage. Written comments on the Draft EIR must be received by Friday, October 15, 2010.